A mouse can be really annoying at times especially when they start nibbling on your stored food, clothing and furniture. Plus, catching them could really be a chore too because they’re pretty smart. Put a sticky trap and they’ll stay away from it. 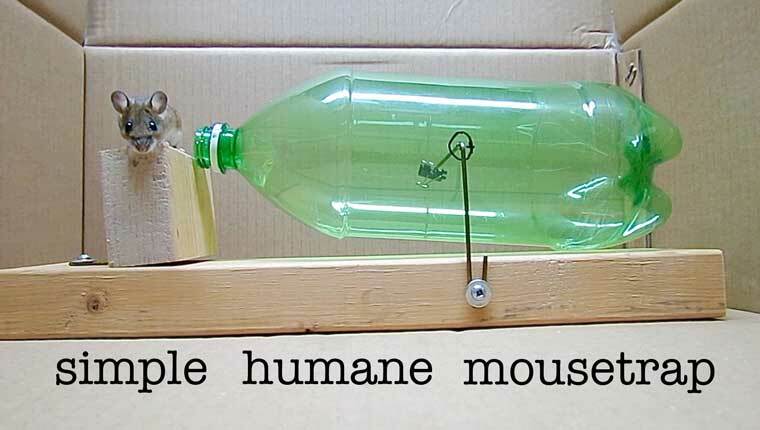 A plastic bottle mouse trap is your ultimate solution for handling the mouse problem the most humane way. It’s really simple to do. You would need plastic bottle, wood, metal hanger, screws and washers, clip and a food that would attract the mouse. You would just need to put up all materials together and the video here will show you how. Some serious woodworking is involved but you can tweak the procedure in any way convenient to you. No mouse will be harmed nor killed here, it’ll only be lured by the food and confined in the bottle. You can then let go of it somewhere far away from your home. See, plastic bottles could be reused in so many ways.